Ski Racing Development (SRD), World Cup Supply (WCS) and Shred Optics are pleased to announce that the winner of the 2012 SRD/WCS/SHRED “Fast Skier” Junior Alpine Scholarship Fund award is Sky Kelsey of Aspen, CO. A J3 (U16) athlete out of the Aspen Valley Ski Club (AVSC), Sky has not only posted winning results on the race course, but also exemplifies many of the individual characteristics that the award represents: exceptional academic achievement, widespread community involvement, and incredible drive and focus as an athlete. Sky made the J3 Rocky/Central Junior Nationals as a first seed for the RMD and won the Downhill and Super G as well as placing 2nd in the Slalom, 3rd in the GS and winning the Overall title. An accomplished musician, at the awards banquet Sky entertained the crowd on his guitar, mandolin and fiddle. After the Junior Championships, Sky went to the National U16 Assessment in Park City, UT and won the dual GS and was 2nd in the Slalom. He also won the Skills Quest competition. 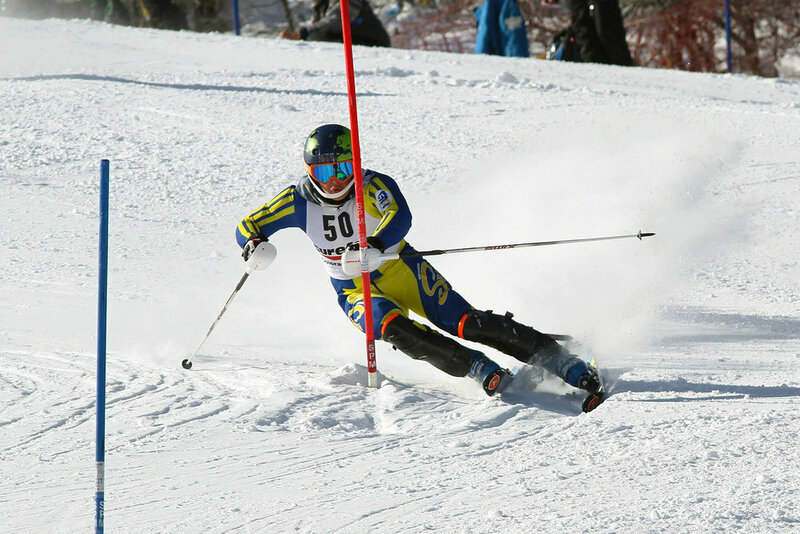 As the recipient of the 4th annual Scholarship award Sky will receive $1,500.00, an Athlete’s pack and a 2013 speed suit from SRD, a winter Start coat from WCS, and a Shred race helmet and goggle package. “I know we have said this each year we have awarded the Scholarship, but this year the pool was really impressive. 56 applicants who are all special in their own way and who each deserve our support. That said, we needed to select a winner and Sky ended up at the top for all involved in the process. Sky had outstanding results throughout the 2011/12 season, straight ‘A’s’ for grades and a long list of worthwhile community service activities. In addition, thoughtful and strong recommendations describe an extremely well rounded and talented person who takes as much pride in giving back to his community as he does standing on the podium. We were also impressed with Sky’s philosophy about racing and skiing in general, which places an emphasis on the process over results. He has a clear passion for and understanding of his place in the sport that is well beyond his years. Sky is a role model for all young athletes to look up to.” Commented Brad Williams of World Cup Supply. Olympic Gold Medalist, World Champion, 2-time World Cup GS Champion and Shred founder Ted Ligety explained, "The Fast Skier Scholarship is a great opportunity for Shred to support ski racing in the US. These scholarships help young athletes pursue their dreams while taking little of the pressure off all athletes biggest sponsor; their parents." We congratulate Sky on being a well-deserved recipient of this year’s award and wish him great success as he moves on towards continued success both on and off the course.